L'Oréal is a company synonymous with style and creativity. So, it’s only natural that image should carry over to their employer branding efforts, fueled by some of the most creative and engaging content being produced by any recruiting team out there. 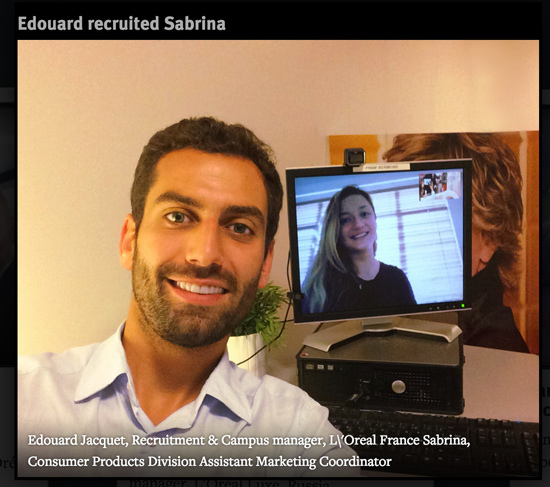 Specifically, the French-based cosmetics and beauty company’s recruiting team invests heavily in their digital presence to build a continuous pipeline of talent. 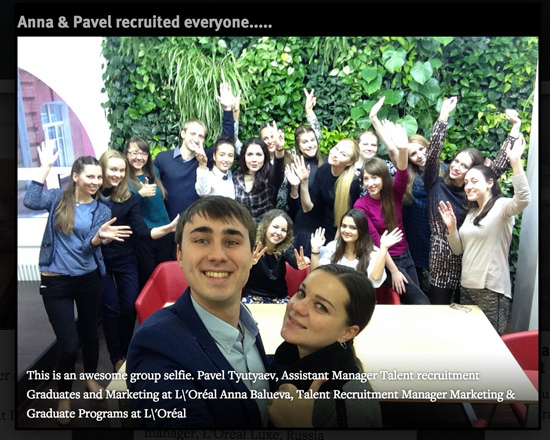 So far, it appears to be working, as L'Oréal has more than 700,000 followers on LinkedIn, meaning they have a massive talent pool to pick from. What kind of content are they producing to help build a digital presence, which has helped build their talent ecosystem? In a keynote address at Talent Connect Anaheim, L'Oréal's Vice President of Global Talent Acquisition, Frederique Scavennec and L'Oréal's Head of Talent Acquisition Lab, Zvi Goldfarb, answered that exact question by highlighting three types of content they produced. Selfies have taken over the world, to the point it was named the “word of the year” by Oxford Dictionary in 2013. 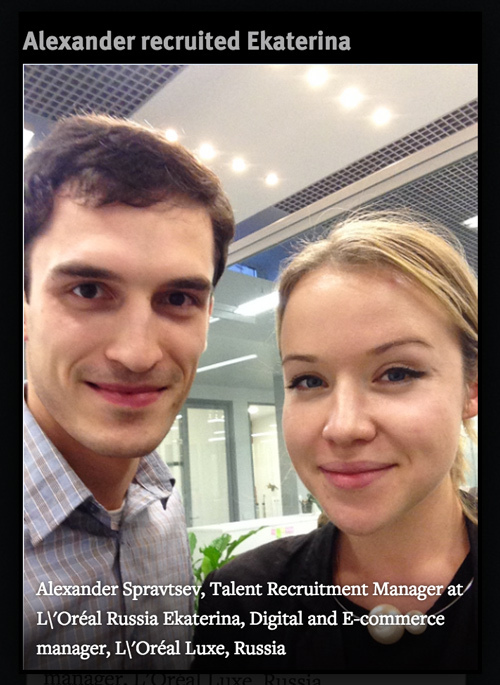 Looking to capitalize off that trend, L'Oréal had its own idea: Have their recruiters take selfies with the hires that stood out to them. After collecting more than a dozen, L'Oréal put them all on a webpage, where visitors were encouraged to follow the company on LinkedIn for more content like it. Along with generating more followers, the move humanized the company’s recruiting team, and made L'Oréal feel like a place where people really care about each other. Emojis, much like the selfie, are exploding in popularity, to the point where no text message or email feels complete without them. 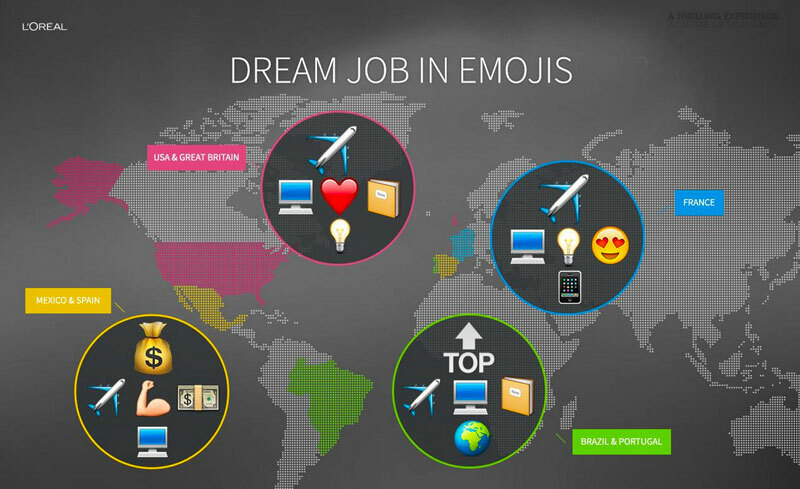 Again, L'Oréal wisely seized the trend, first by asking their own employees to describe their job using only emojis. 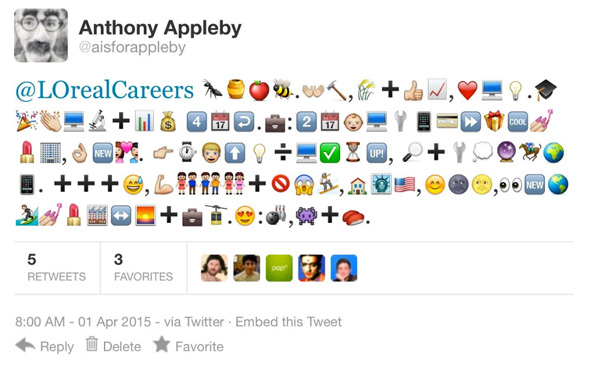 The promotion proved popular, with Scavennec and Goldfarb asking themselves “why keep this internal?” So they asked the public to describe their dream job in a tweet, using only emojis, and the response was impressive. Again, this proved a clever way to build buzz about L'Oréal and its recruiting team, while continuing to brand the company as an innovative and creative place to work. Inspired by the success of the video, L'Oréal decided to do this with their own employees as well, asking them what advice they’d give to their younger selves. Again, the campaign proved successful, as thousands of people viewing the content, with many of them either following L'Oréal on LinkedIn or applying for a job at the company. L'Oréal wanted to keep the momentum going, and began asking their employees new questions, like the best vacation they ever took or the most beautiful place they’ve ever been. 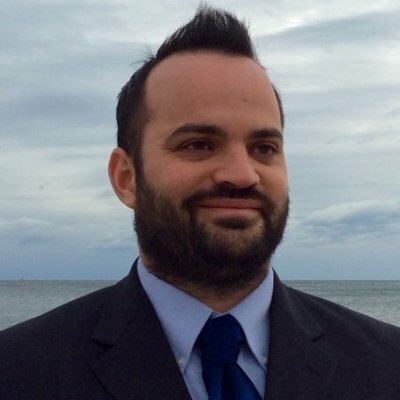 Overall, the content above drew an average of 50,000 unique visits a month to L'Oréal's recruiting pages and fueled the growth of the company’s LinkedIn following, which now stands over 700,000 people. Additionally, it showcased L'Oréal as a cutting-edge, creative company, which precisely matches their employee value proposition (EVP). 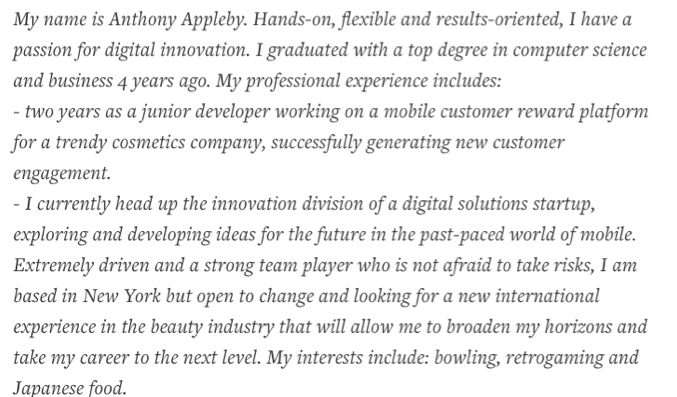 That said, the content listed above might not work for every company, as L'Oréal has a very specific EVP. But it could certainly inspire yours, and challenge you to think of your own creative recruiting content that’s right for your company.